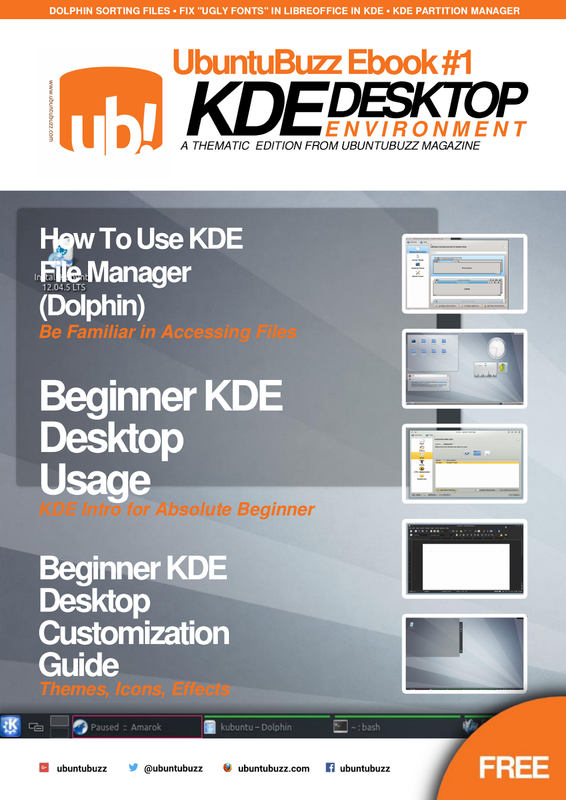 We are pleased to announce our first edition of UbuntuBuzz Thematic Ebook KDE Edition. This is a second ebook publication of us after the UbuntuBuzz Magazine, because we want our readers take more advantages from our articles. We hope this KDE edition helps everyone uses KDE. As usual, you may download our ebook free (gratis) by direct link.